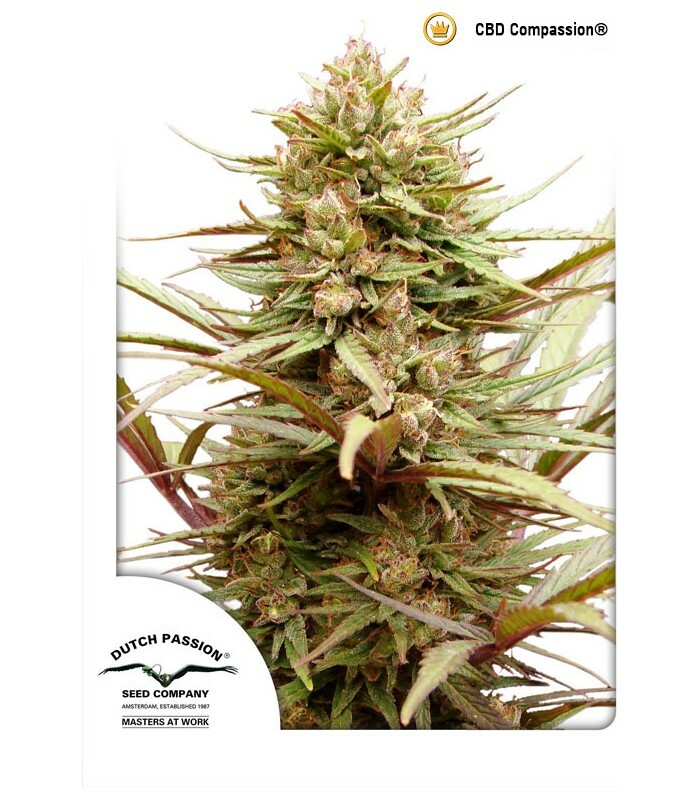 CBD Compassion by Dutch Passion is a feminized marijuana seed obtained by crossing a Nepalese variety with a Sativa variety of unknown origin. The result is a variety of cannabis rich in CBD, aimed at the medical user who seeks body calm with a light cerebral touch that provides lucidity. CBD Compassion is a Sativa-dominant plant with a flowering period of 10 weeks indoors. It offers medium yielding harvests and resinous and aromatic buds with a THC:CBD ratio of 1:1. CBD Compassion has a delicious, floral and exotic aroma and taste. It is a variety of moderate potency and mild effect, ideal for therapeutic users who do not want psychoactive effects or novice smokers to allow them to continue well with daily routine and without paranoia of any kind.